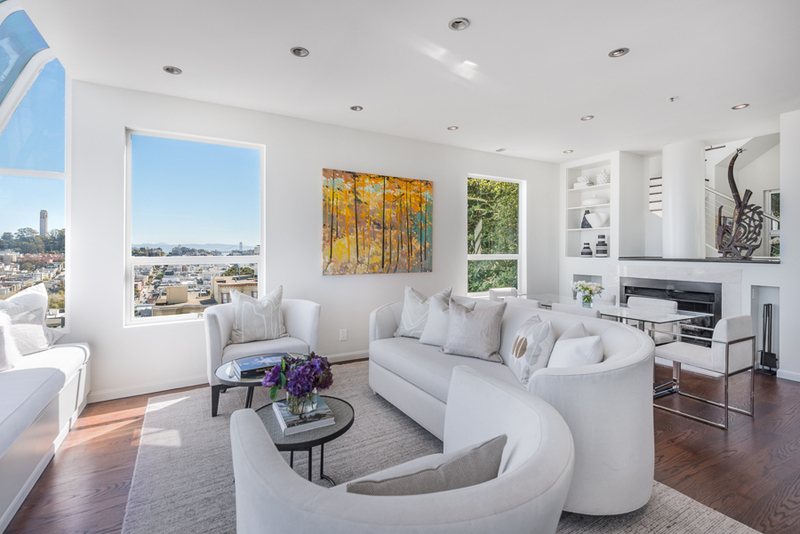 Nestled along one of San Francisco’s most magical and idyllic streets, 14 Macondray Lane offers an incredible opportunity to own a one-of-a-kind home with panoramic landmark views from every level. The main part of the home spans two levels and features three bedrooms and three full baths. Details include oak hardwood floors, high ceilings, and large windows that flood the home with natural light. As you enter, the view of Alcatraz frames the room. 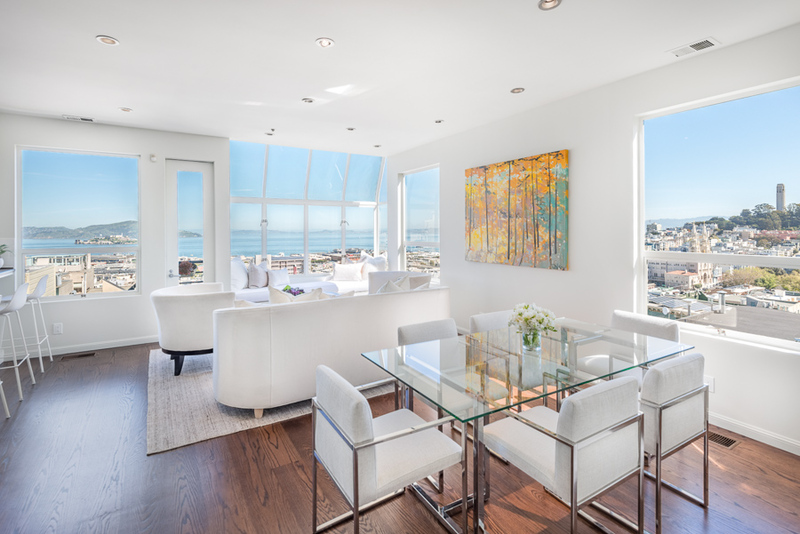 The open living room, dining room, and kitchen are positioned in the rear of the home and enjoy views from every window, including Coit Tower, Alcatraz, the Bay Bridge, and Bay. A fireplace flanked by bookshelves anchors the great room, creating the perfect setting for entertaining. 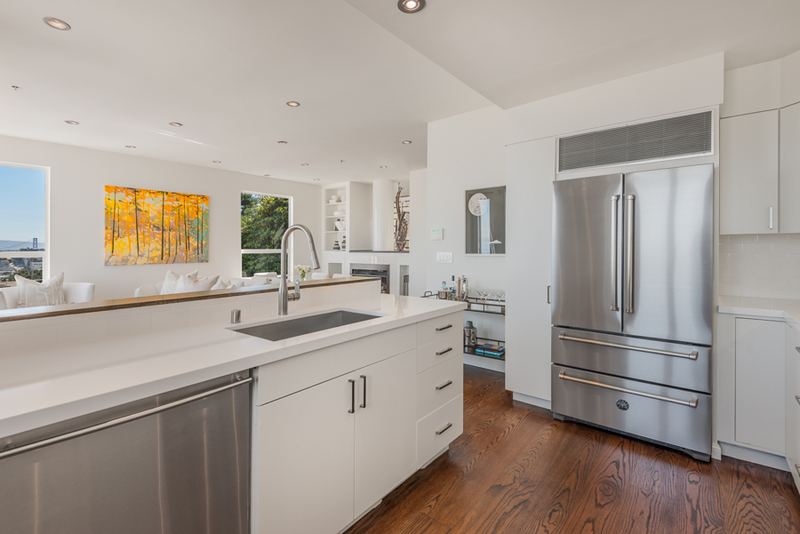 The kitchen has been beautifully renovated with white quartz counters, stainless steel appliances, bar stop seating, and incredible storage. A guest suite, overlooking the lush landscape along the lane, and a full bath complete this level of the home. 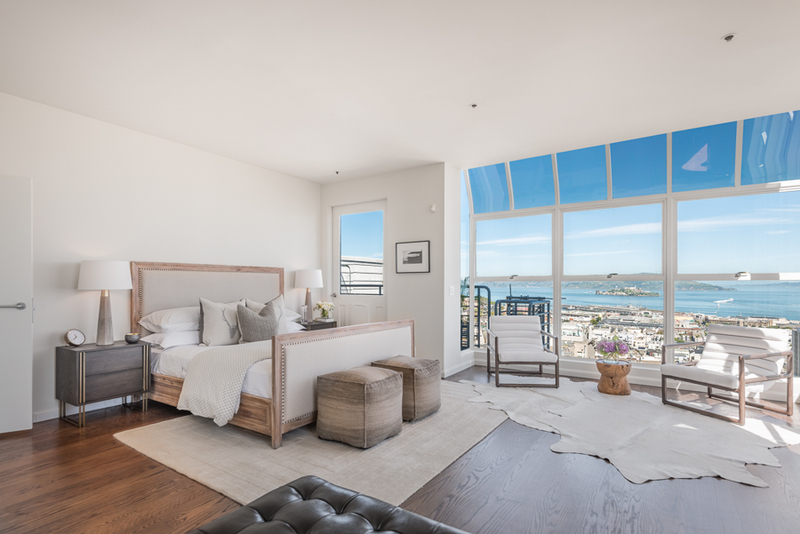 The spacious master suite is a private oasis wrapped in oversized windows, creating an intimate connection with the view beyond. 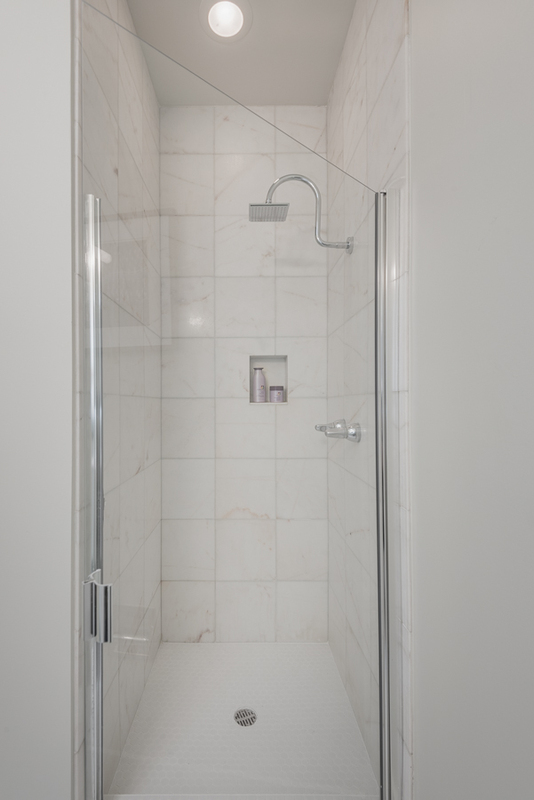 The en-suite bathroom includes a walk-in shower, a Japanese style soaking tub, and views to Alcatraz. 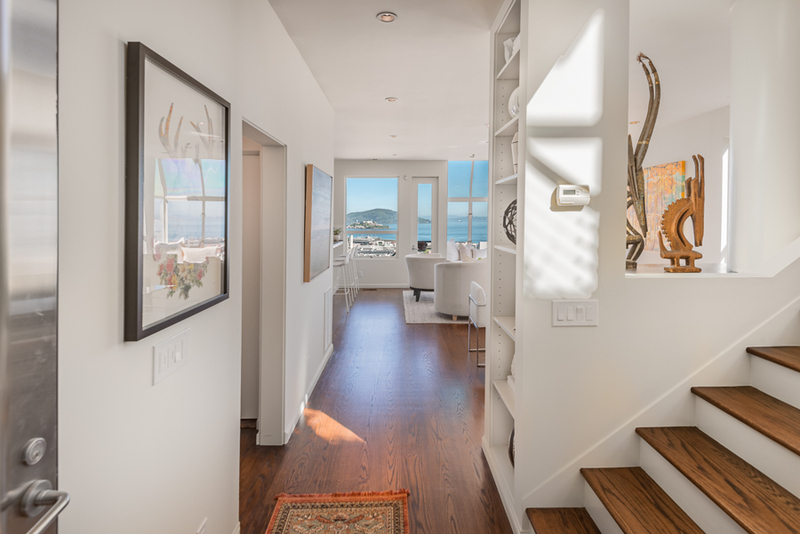 The third bedroom enjoys an en-suite bathroom and a built-in window bench in the hallway to soak in the view. 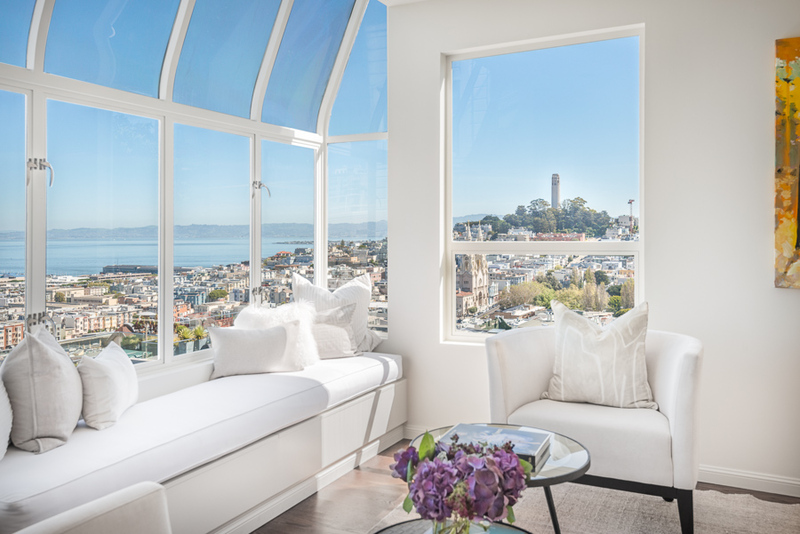 An enviable roof deck is the crown jewel of the home with unobstructed landmark views spanning Alcatraz, Coit Tower, the Bay Bridge, and beyond. 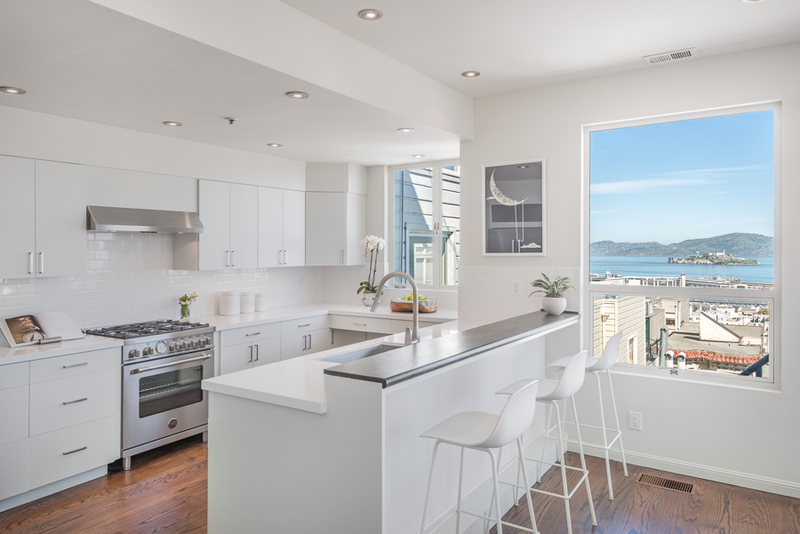 The roof deck enjoys built-in heat lamps, countertop space and built-in cabinetry, and glass bannisters to provide access to the view at all times. Serving a multitude of lifestyles and purposes, a legal in-law suite is located on the lowest level of the home. The in-law unit includes a recently renovated kitchen, view deck, full bathroom, and a large great room allowing for a flexible floor plan. 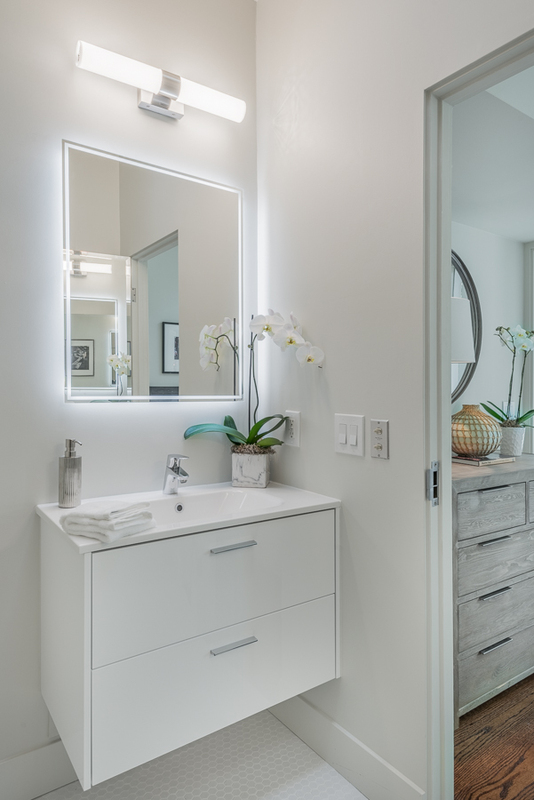 A luxurious laundry room serves all levels of the home and provides a side-by-side washer/dryer, a utility sink, and additional storage. 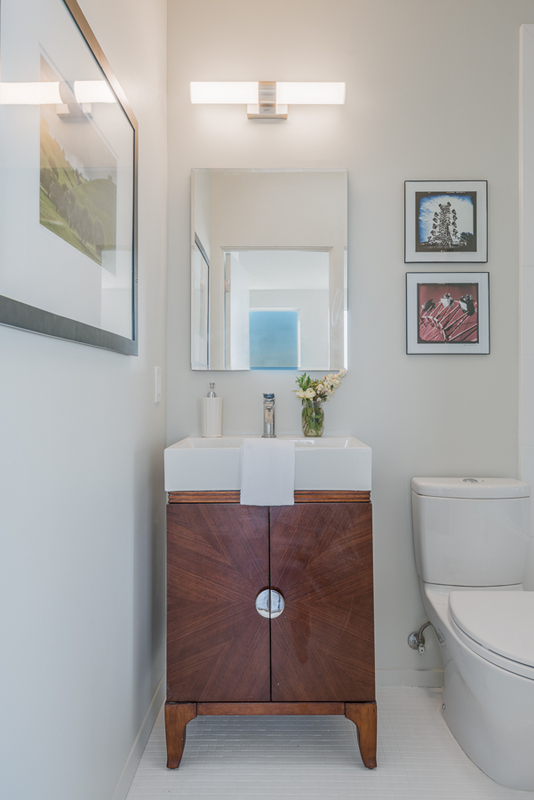 A generous storage room and two-car deeded parking on Jones Street complete the home. 14 Macondray Lane is located on a historic and secluded lane, creating a unique blend of urban living and a sense of nature. The Telegraph Hill parrots are known to frequent the area. 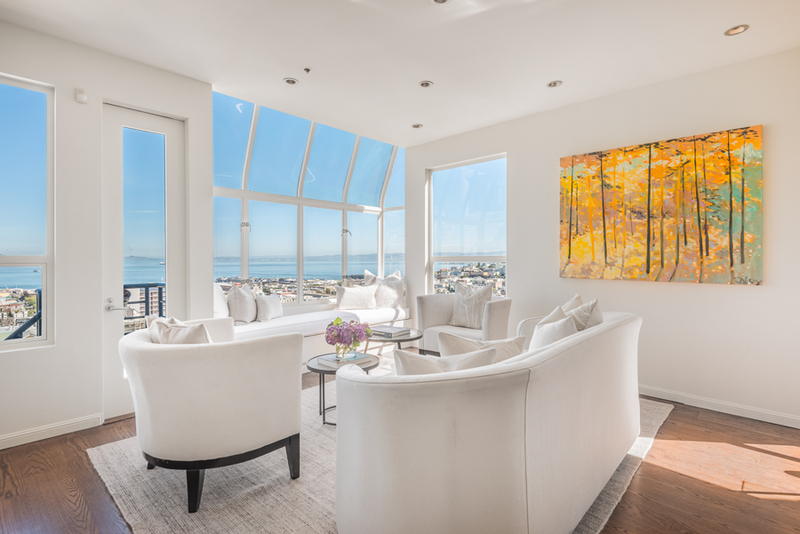 Located within close proximity to the restaurants and shops in North Beach and Russian Hill with easy access to MUNI and the Financial District.